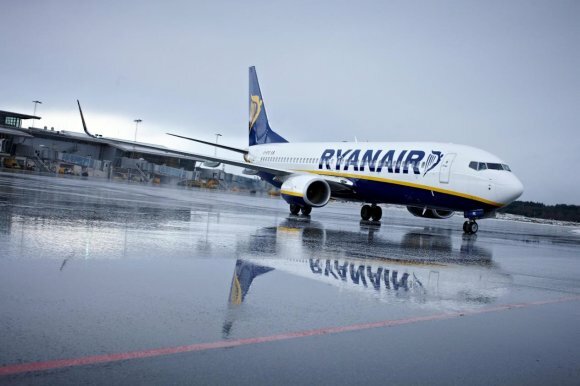 Ryanair is set to enter the Jordanian market from next month as the Irish low-cost carrier further expands its operations in the Middle East. Ryanair, Europe's biggest low-cost airline, will begin flying to Jordan from March as it prepares to add 14 new routes to the Arab nation this year. The airline will begin with a service from Paphos, Cyprus, to Amman, Jordan's capital. By October it plans to operate ten routes to Amman, while in winter it will add four routes to Aqaba, Jordan's splendid Red Sea resort. Ryanair has been steadily increasing its Middle East capacity in recent years with flights to Ben Gurion International Airport and Ovda Airport in Israel. According to figures from OAG Schedules, two-way capacity has grown from 17,766 in 2015 to 268,191 in 2017. “Enhancing air connectivity is one of the key areas Jordan is focusing on given its impact on unlocking economic growth through attracting business investment as well as spurring tourism, two factors that are vital to Jordan’s economic prosperity,” said Lina Mazhar Anna, minister of tourism and chairwoman of the Jordan Tourism Board. “Ryanair’s decision to fly to Jordan sends a loud and clear message about the diversity and the untapped potential of Jordan’s tourism product. It also shows confidence in the tourism industry in Jordan, which has witnessed double-digit growth in the past year. Jordan’s international market grew by 3 percent in 2017 to almost 10.5 million seats, according to figures from OAG, although only 14.3 percent were low-cost. Ryanair claims the 14 new routes to Jordan will bring 485,000 passengers per year.